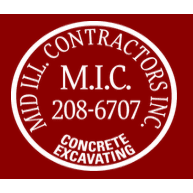 Mid Illinois Contractors Inc are concrete and general contractors serving the Peoria area. Whether it is residential or commercial, Mid Illinois are the choice of contractors when looking for your job to get done efficient, and on time.You can expect professional and quality service and craftsmanship when you hire Mid Illinois Contractors. They offer a number of different services at Mid Illinois.They include:Project ManagementRepair Rehabilitation Remodeling New Construction Installation Maintenance Working on: Driveways, Foundations, Concrete Removal, Decorative Concrete, Concrete Coloring and walls.For More information call today!Available throughout the week and weekends!